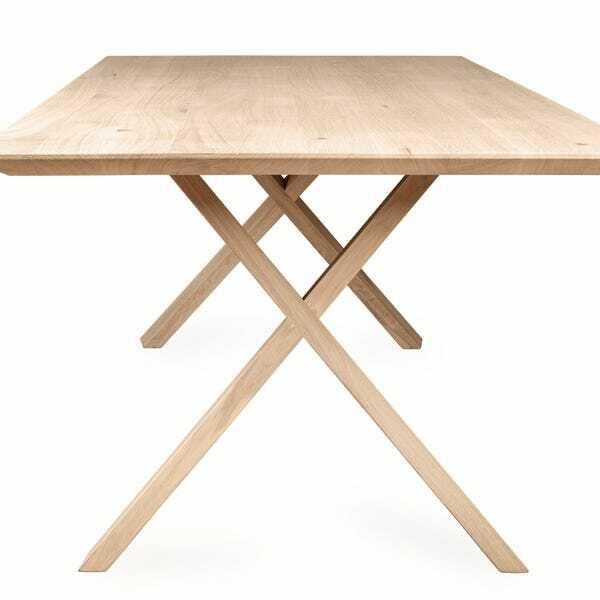 The Oslo table has a modern refined timber criss-cross base with beautiful angles. 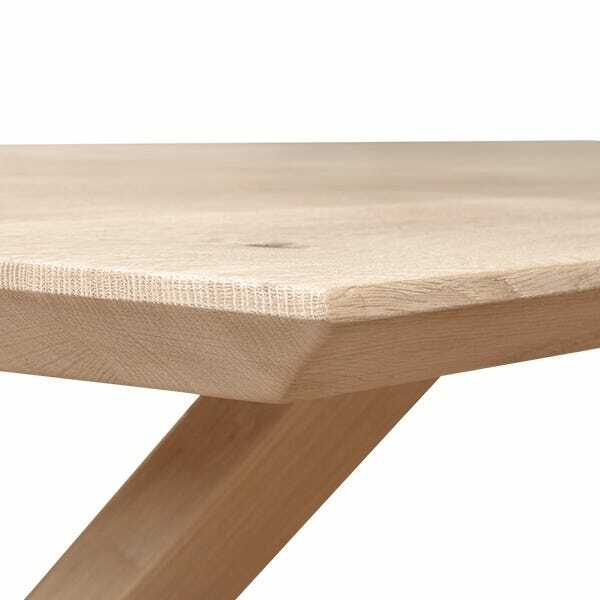 As shown chamfered edge profile for a modern clean appearance. 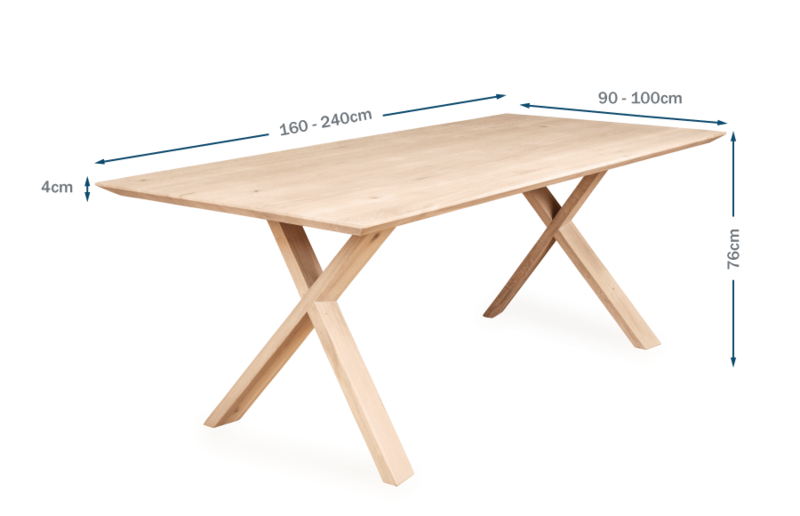 straight or natural edge also available. 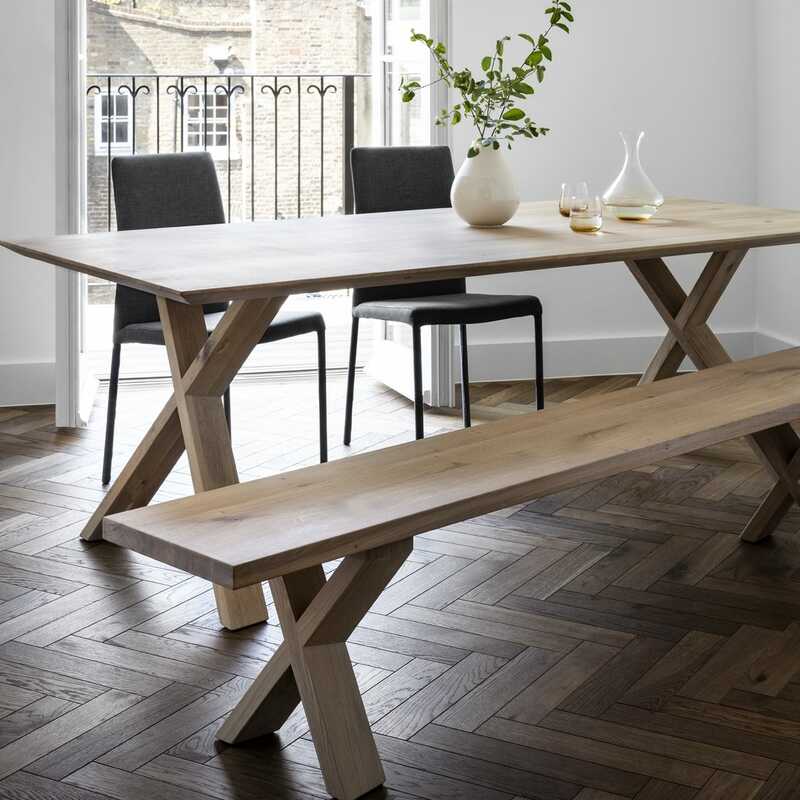 The Oslo table has a refined timber criss-cross base with beautiful angles. 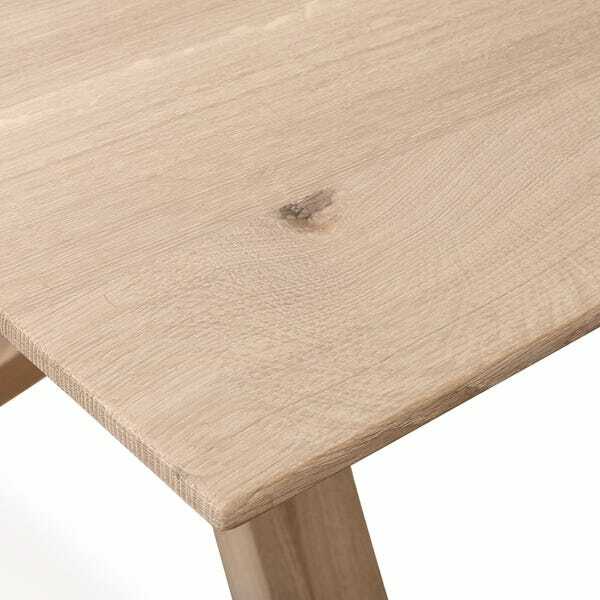 As shown solid oak top, also available in walnut.